Sailor has finally spoken out—Naginata Togi nibs and other special nibs will be back in the market on October 5th (2018). But that is the extent of the good news. The rest is not so positive. An old Cross Music, and an old Naginata Togi. Naginata Concord: from JPY 30000 to JPY 55000. Naginata Fude: from JPY 25000 to JPY 55000. Naginata with emperor: from JPY 35000 to JPY 60000. Cross nib: from JPY 45000 to JPY 70000. Cross Music: from JPY 50000 to JPY 75000. 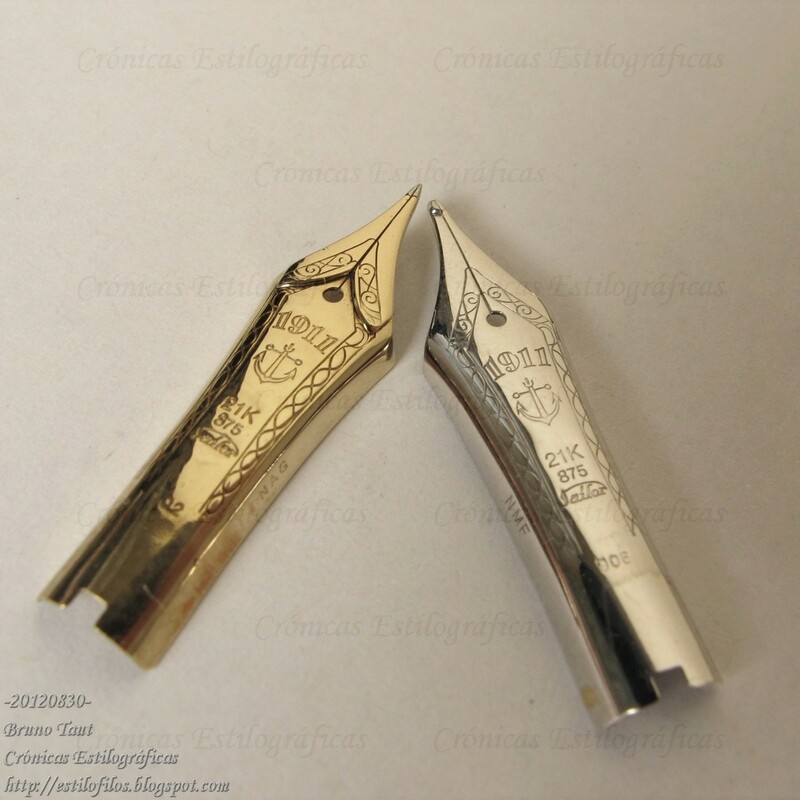 The new design of the Naginata nibs. Photo courtesy of Inktraveler. The pens implementing these nibs will change their appearance. The nib decoration will be simpler than the old one, as can be seen on the pictures. 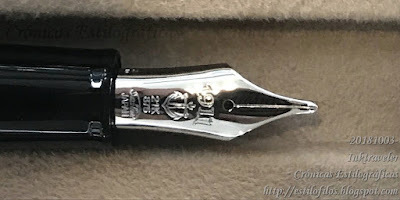 The pen will carry a wider cap ring with the inscription “SPECIAL NIB”. New prices, new designs... old nibs. Photo courtesy of Inktraveler. 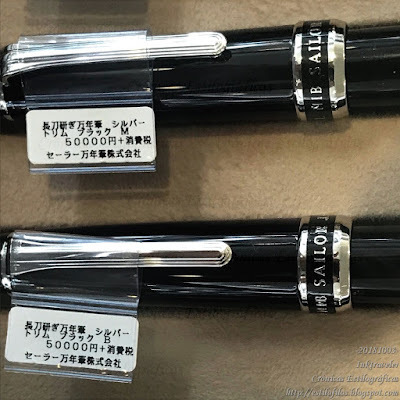 And, finally, the whole distribution network of this nibs will be dramatically reduced: only 50 dealers worldwide –25 of them in Japan— will handle these pens. And to make matters worse, some rumors say that few of these special nibs will make their way outside of Japan. Sailor, at this point, has not released any information regarding the plans for the “super big” (“King of Pen”) size Naginata and related nibs. These special nibs are becoming more special than ever. You may disagree, but I'm not taken with that cap ring. Well, that ring is an expensive cosmetic addition... And not a pretty one.